New Formula One team USF1 has responded to rumors that it might not be ready for the 2010 season opening race in March. 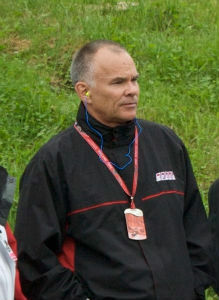 Autosport.com reports that team director Peter Windsor has published a note on the team’s Web site that they have chosen to take a low profile during preparations for the season in relation to other new teams such as Campos, Lotus and Virgin Racing. “A number of people have asked me why we’ve been relatively quiet over the past six months or so,” he wrote on the website. “My answer is twofold – one, while the F1 politics were sorting themselves out there was very little that we could do or say. “We’re all in the entertainment business we call F1 and there seemed little or no point in adding to the situation from the perspective of a new team. “Second, since August, we have been building our “house”. Literally. We gutted the ex-Hall of Fame Racing/Joe Gibbs NASCAR shop, re-painted it, re-floored it, re-wired it, re-lit it and re-designed it. In three weeks. That’s what you can do in Charlotte, North Carolina, where the economic impact of the motorsports industry approaches $6 billion per year. Ask and you will receive. Brilliant.